Read Mind on Movies review of VICTORIA & ABDUL. The extraordinary true story of an unexpected friendship in the later years of Queen Victoria's remarkable rule. Ok you guys this movie was SO good. 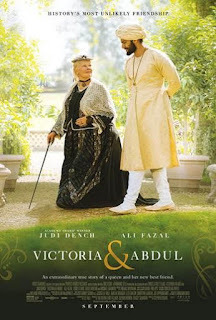 It's about an unlikely friendship between Queen Victoria of England, played by the amazing Judi Dench and an Indian commoner, Abdul, played by Ali Fazal. Abdul is sent to England to present the queen with a gift, through a series of events they become fast friends and he becomes her most trusted advisor. They did an excellent job of showing how the friendship between the queen and Abdul developed. The plot wasn't rushed so you really become invested in the characters. It also didn't feel like you were watching a long movie, it was just a really enjoyable film. Sure there are some heavy parts (let's not forget about the history between Britain and India) but all in all it had tons of humor and a lot of fun scenes. 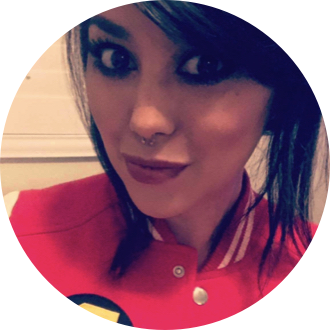 I would definitely watch it again, I hope you see it too and let me know what you think!